Client: VLA is a service which offers free legal advice and representation for Victorians. 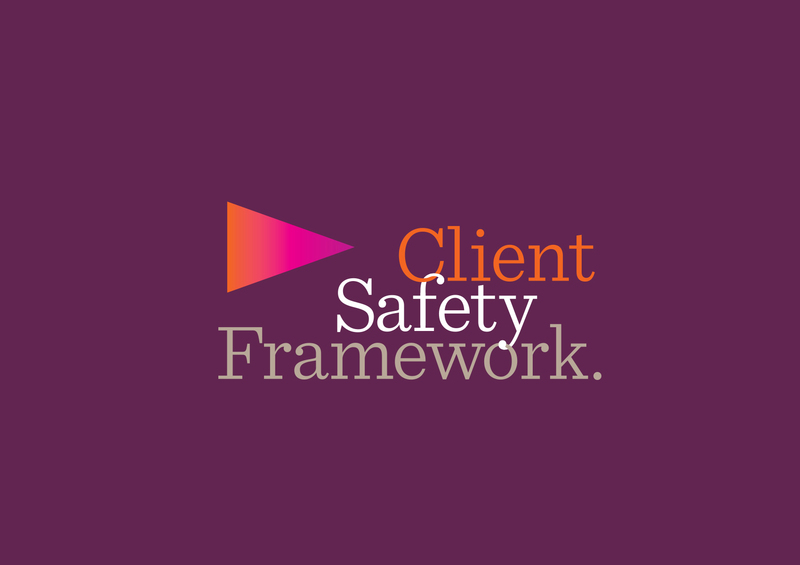 The Client Safety Framework is an internal training project for VLA legal staff which is designed to increase awareness and understanding of safety risk indicators so that targeted referrals can be made. Brief: VLA came to us to design an identity for the project which complements the VLA brand yet is distinctive enough to grab staff’s attention and encourage them to participate in the program. Solution: We based the new identity on the theme of ‘moving forward’. Strong typography, bold colours and iconic shapes were used to give the identity emphasis and progressive connotations. 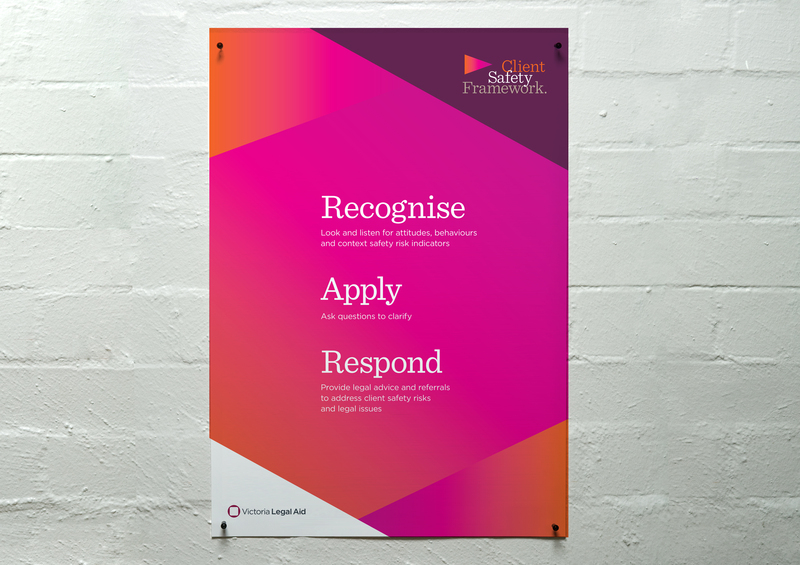 The VLA purple was used in the palette as a base colour to keep it consistent with the overarching brand. 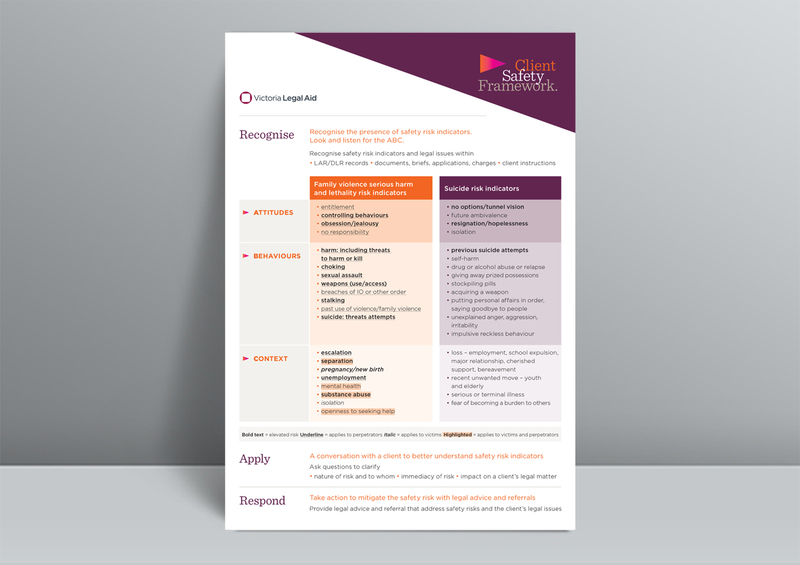 Result: The legal staff at VLA have responded well to the CSF program and most sessions are run at full capacity.